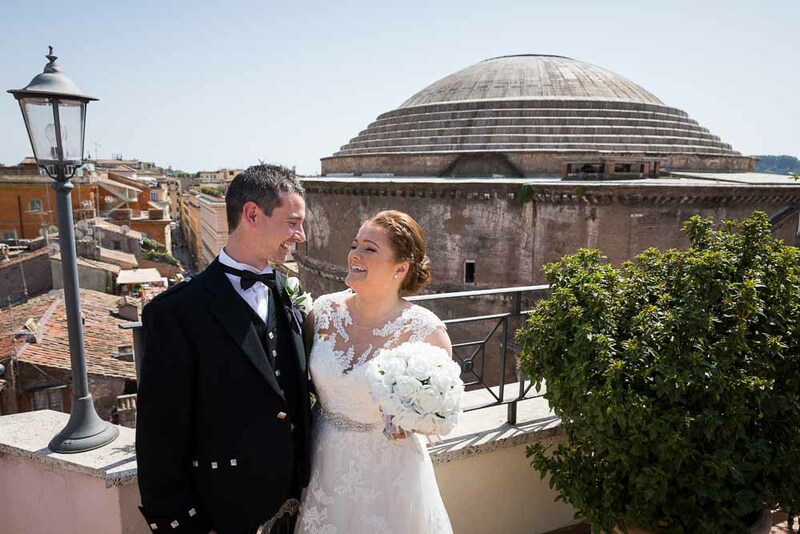 A charming wedding marriage celebration taking place in the eternal city! Starting with the beautiful bridal preparation at Albergo Del Senato hotel. 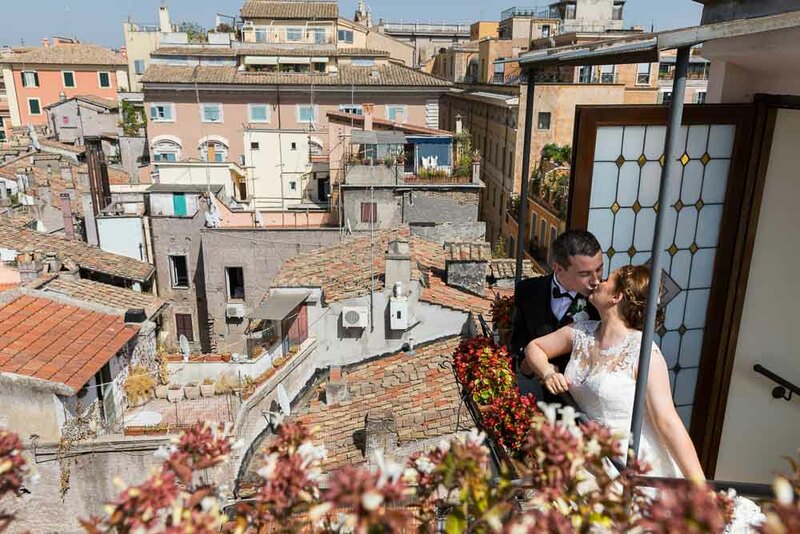 Then some portrait pictures on the terrace of the hotel overlooking the roman pantheon. 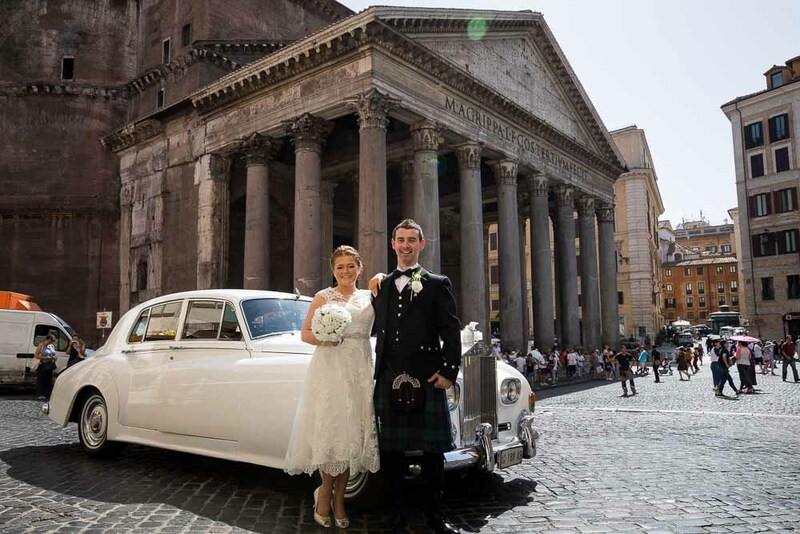 Waiting for the Rolls Royce Silver Cloud III to arrive and take us to the Town Hall in Piazza del Campidoglio. Taking some nice pictures overlooking the forum from a distance. The wedding ceremony was a touching moment which was welcomed with a lot of joy and happiness! 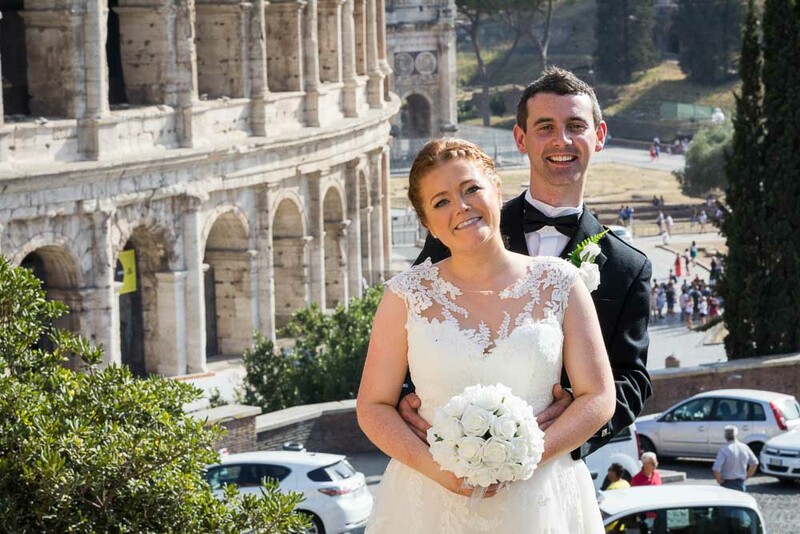 Then we went on to take more bride and groom pictures at the Roman Colosseum and then back to the Pantheon where the photo session ended. 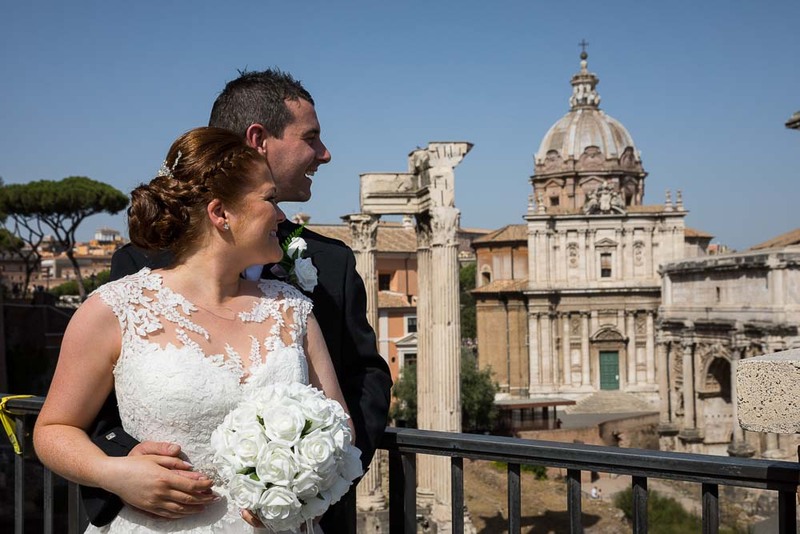 Getting married in Rome. 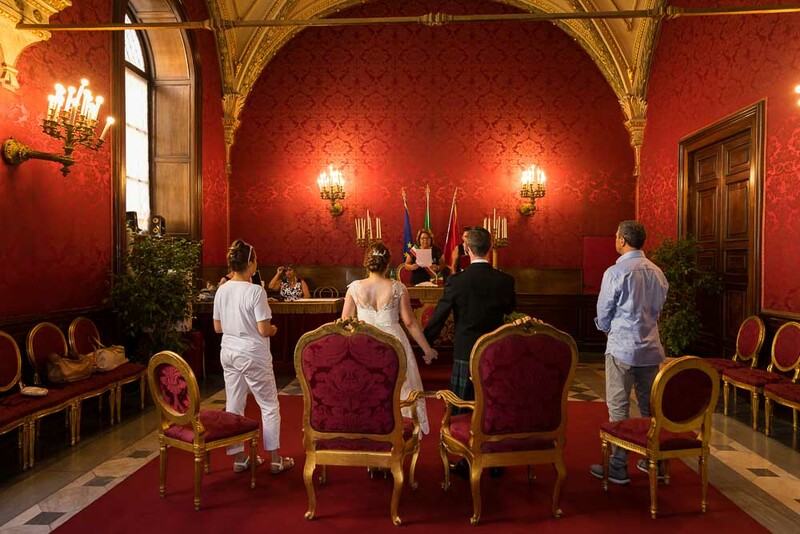 A beautiful civil marriage celebration. From the bridal make up and hairstyle to a unique vintage ride. Photographed by professional photographers.